This is in anticipation of a lawsuit on behalf of Democratic voters in Michigan to challenge Congressional and Legislative district lines. The lawsuit will argue that the maps we have right now are an unconstitutional violation of First Amendment rights. “They are rigged in favor of Republican candidates at both the legislative and congressional levels,” former Michigan Democratic Party chair Mark Brewer told It’s Just Politics. Brewer, a lawyer, is preparing the lawsuit. “Democrats consistently take a majority or a near-majority of the votes in those bodies, but do not take a majority or a near-majority of the seats.” This has been an argument that Democrats in Michigan have been making for awhile. In Wisconsin, Democrats making that same argument recently prevailed. A federal judge said that state’s Republican governor and Legislature went too far with a redistricting plan that favored the GOP. Redistricting happens every 10 years to ensure there’s an equal number of voters in every district. It’s where cartography becomes an exercise of raw political power. In Michigan, the Legislature draws new district lines to reflect population changes following the U.S. Census. Federal law requires the districts to ensure representation and voting rights for racial minorities. This Wisconsin decision is the first time a court has held redistricting plans must also reflect political party loyalties. In Michigan, that could amount to a full-on assault on Republican hegemony in Lansing. 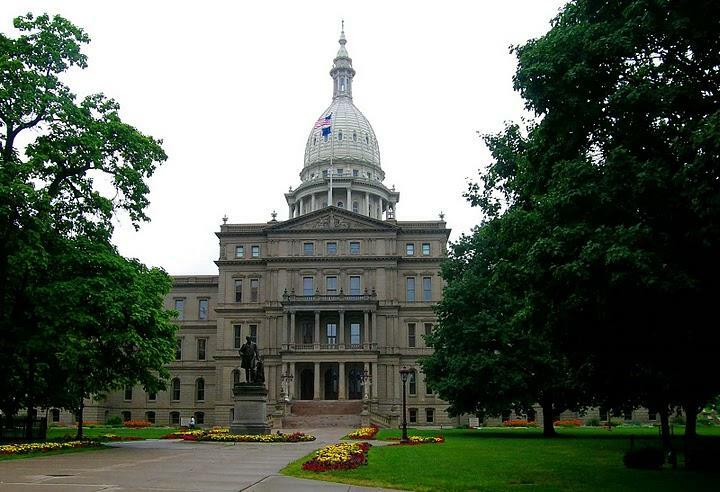 Governor Snyder and Republicans have controlled the state Capitol since 2011. In fact, one of Snyder’s earliest acts as governor was to approve the new district maps. Michigan Democrats are already looking at a ballot drive to try to change the redistricting rules in time for the next round following the 2020 census. One idea is to give the job to a bipartisan or nonpartisan redistricting commission. But if former Chair Brewer has his way, Democrats won’t have to wait for the new decade. He’d like to get a court order for a legislative re-do before the next elections in 2018. That could be a game-changer. But, this legal battle is still in the nascent stages. There’s not even a lawsuit in Michigan yet. Just a letter that says one is on the way. And Wisconsin Republicans are appealing the decision to the US Supreme Court. Which means the confirmation fight over President Trump’s Supreme Court nominee, Neil Gorsuch, could have a clear and present impact on politics in Michigan. We could see a court battle or a ballot battle - and the stakes are high because redistricting is when politicians get to choose their voters before it’s the other way around.